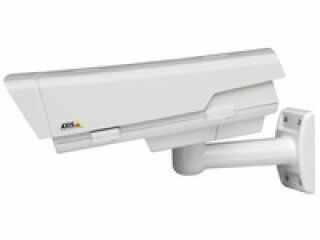 AXIS T92E20 Outdoor Housing features a dual shell technology, where an internal shell stores heat in cold environments. Fan ventilation for hot environments, where the heat is transferred to the outer chassis for efficient cooling. Operatingconditions ranges between -30 °C to 50 °C (-22 °F to 122 °F) with PoE (IEEE802.3af) and down to -40 °C (-40 °F) with High PoE (IEEE802.3at). The Arctic Temperature Control allows the camera not only to function at -40 °C(-40 °F), but can also power up at that temperature following a power failure.